The end of the U.S. embargo of Cuba is long overdue. It serves no purpose today. The goal was to bring Fidel Castro to his knees, but it hasn’t worked for 55 years. Now the torch has been passed to his brother, Raul, perceived both in the United States and in Cuba to be a pragmatist. His term will be up in 2018, and, while there are no guarantees about accelerating the opening up of Cuba and its economy, it seems the genie is out of the bottle, and change is coming, however slowly. 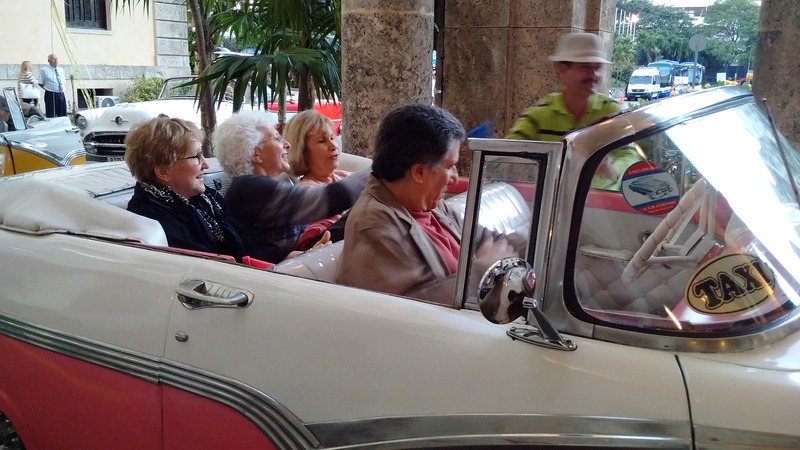 We were fascinated during our recent trip to Cuba to see how private enterprise is getting traction. 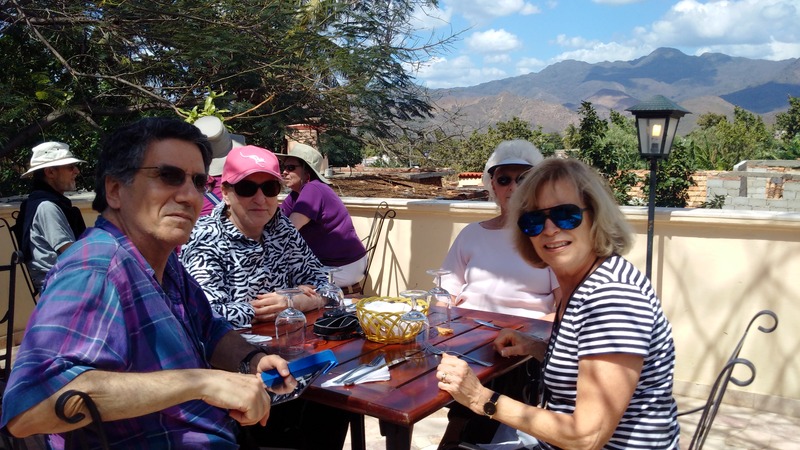 Prior to our visit, we thought it was limited to the paladares, the private restaurants originally started in people’s homes and permitted by the Castro regime in the mid nineties after the Soviet props to the economy were pulled out. But those restaurants have become established places of business, growing in size and number. Castro in 1993 opened up 100 categories of work to private enterprise, from hairdressers to car repair. Today there are twice as many categories allowed. At farmers’ markets, vendors sell produce at their own prices from stands placed below posters from the Revolution pronouncing venceremos (we shall overcome) or hasta la Victoria siempre (until victory forever). At crafts fairs, paintings and carvings purchased by vendors at government prices are sold to tourists for whatever the market will bear. Taxi fares are also subject to negotiation. High level professors are paid tiny salaries by the government but on their own time take on paying students. Other government employees told us of discharging their official daily duties in an hour and using the rest of their eight-hour days to run their own businesses. The most fun I had was riding in the back seat of a 1956 pink and white Ford Fairlane convertible with its wailing aruga horn blaring siren and rooster sounds, one the Classic cars with which many of us grew up in the fifties. Some lucky Cubans have been able to acquire and lovingly refurbish them. The challenge is finding replacement parts, but somehow they manage to keep them running, converting some of the old V-8’s to diesel to save money on high-cost gasoline. Yet another form of private enterprise, the cars are used as taxis, showing that living in a time warp can provide nostalgia and be profitable as well. We witnessed in Cuba a basic impulse toward a free market economy similar to that which we had seen in Warsaw in 1990 when the Berlin Wall was coming down and the Soviet Union was disintegrating. 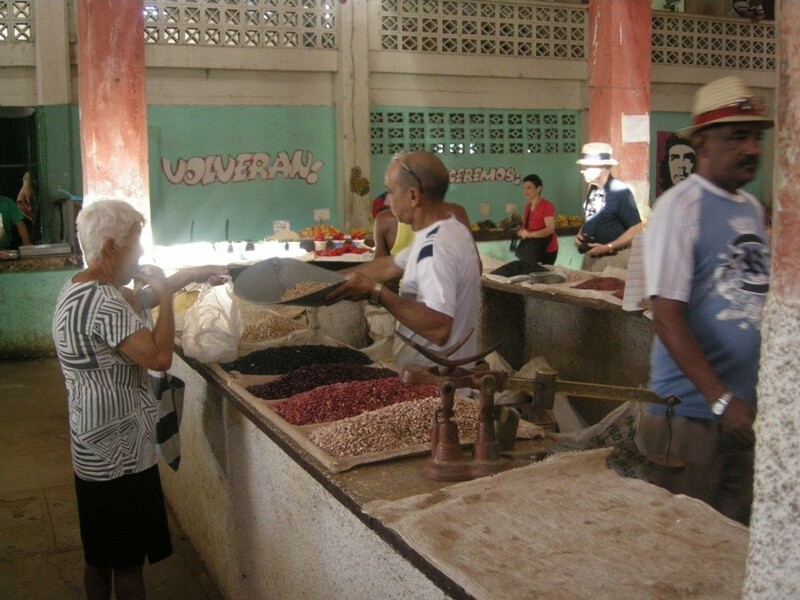 Cuba is a net import country (including 80 percent of its food), and will fare much better when it can freely trade with its closest neighbor. But while its economy will improve, ending the embargo is not an answer to all its problems. When the Berlin Wall crumbled in 1990 and Cuba lost Soviet support for its sugar crops, Cuba lost 38 percent of its GDP. So in 1993 Cuba legalized the dollar, and the black market thrived. In 2004, use of the U.S. dollar was officially banned, leaving a dual currency system, pesos for most workers and CUC’s (Cuban units of currency worth about a dollar, with a 10 percent tax for conversion). Those having access to foreigners, especially through tourism, deal in CUC’s. What’s bizarre is that the salary of a university professor or a radiation oncologist, paid in pesos, can be the equivalent of $20 or $40 at most a month, while the maid at a hotel getting tips in CUC’s can earn hundreds of times more. Everyone, regardless of the main currency he or she uses, gets a ration book because supplies are so limited, but many people thriving on CUC’s are said to share their ration books with neighbors paid solely with pesos. A talented musician we met, paid in pesos in Cuba, performs with his wife in Europe and used his earnings abroad to buy a bed-and-breakfast, an beautiful old building he is gradually restoring. This private endeavor allowed him to hire two employees. Then, to provide a more dependable source of food to serve in his B ‘n’ B, he bought a small farm (Castro had broken up the lands into small subdivision) and hired two more people. He converts any money he earns in dollars into pesos to pay his employees. This dual currency economy is something that Cuba can -and should- correct irrespective of any timeline for ending the embargo. We were off the grid for nine days, with no access to email or internet. (The isolation, initially unsettling, wasn’t a bad respite.) Our hotels had CNN International, not available to locals. Locals do get programming from the United States, including recent movies, but it is pirated and passed around on flash drives. We were surprised by the paucity of newspapers, and the news content of the fabled Granma, the Communist Party organ, was very thin. Thanks to the embargo, Cuba has had to rely on satellite because the American companies providing high speed cable are barred. By 2010, a fiber optic cable arrangement was worked out with Venezuela. Broadband became available in universities and libraries, and the government started to open internet cafes, but the dial-up service is painfully slow and irregular. The cost of $4 an hour is too steep for the average Cuban. Cubans hope that this year, for the first time, fiber optics will bring internet service to homes though it is unclear what sites will be blocked. And one techie told me that an (unidentified) American company is starting to talk about the possibility of direct phone lines, though Cuba seems to have leapfrogged the land line era and cell phones are readily available. I got less information when asking questions about Cuban television, with eyeballs rolling when I inquired about how much control is exerted over reporters regarding the choice of stories and their content. Still, these disparate impressions create a sense that Cuba is not forever mired in the Dark Ages, or even in the thrall of Stalinist Communism. It’s unclear what model Cuba will use going forward. The country is ever so slowly on the move, if only the U.S. Congress can see beyond its own partisan noses and support normalizing relations with Cuba. This entry was posted in Culture, Uncategorized and tagged Classic Cars in Havana, Cuban embargo, Cuban pesos, Cuban Revolution, dual currency, Fidel Castro, internet availability in Cuba, normalizing U.S./Cuban relations, private enterprise in Cuba, rationing in Cuba, Raul Castro. Bookmark the permalink.